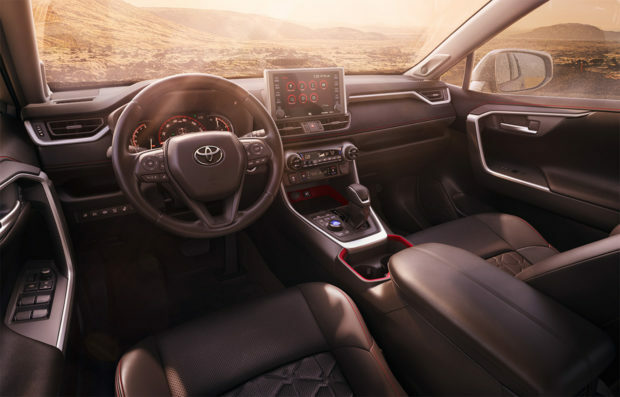 I recently had the opportunity to drive the 2019 Toyota RAV4, and was extremely impressed with the improvements Toyota has made in overall ride quality, versatility, and capability for its popular daily driver. 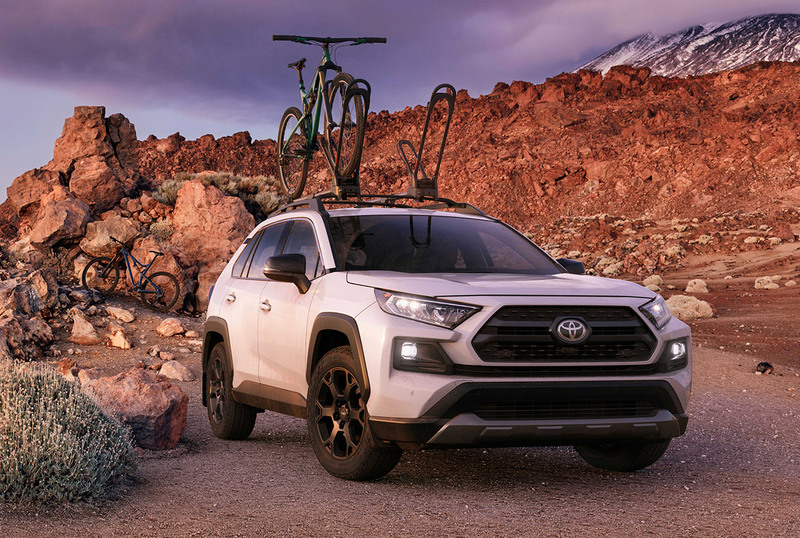 And while the RAV4 is already better than one might expect off the tarmac, Toyota wants us to know it can do even more with the announcement of a new TRD Off-Road trim for the 2020 model year. 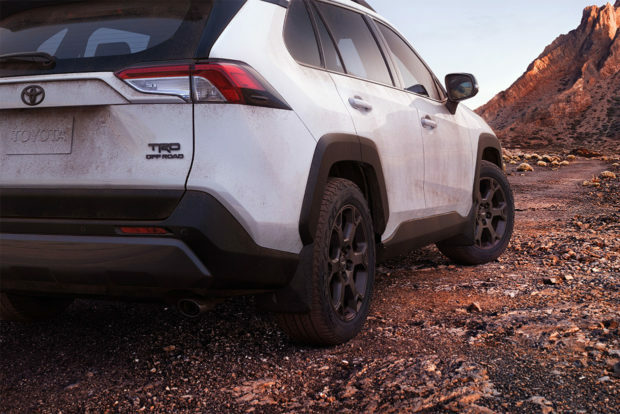 Based on the RAV4 Adventure grade, with its 8.6″ ground clearance, black overfenders, and other rugged visual cues, the RAV4 TRD Off-Road gets revalved twin-tube shocks with new internal rebound springs, and new bump stops to improve control on rough terrain, along with red coil springs because they look cooler than black ones. 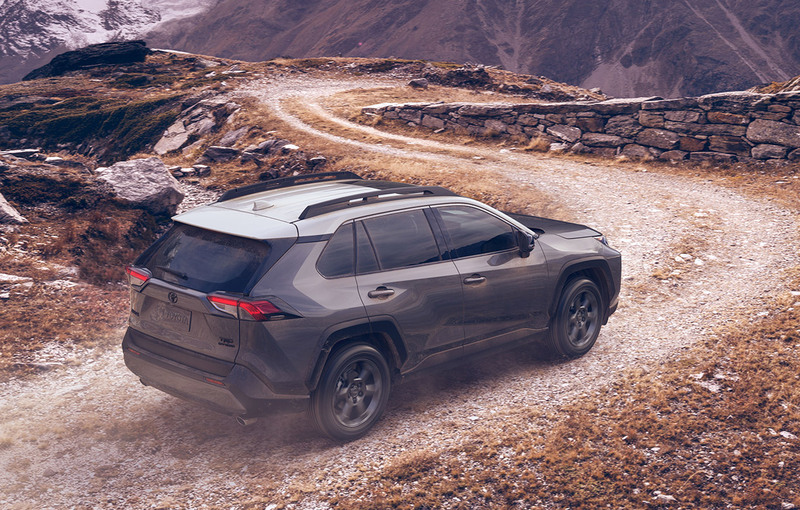 The compact SUV also gets 18×7 matte black TRD alloy wheels, wrapped in Falken Wildpeak A/T all-terrain tires to improve off-road durability and traction. 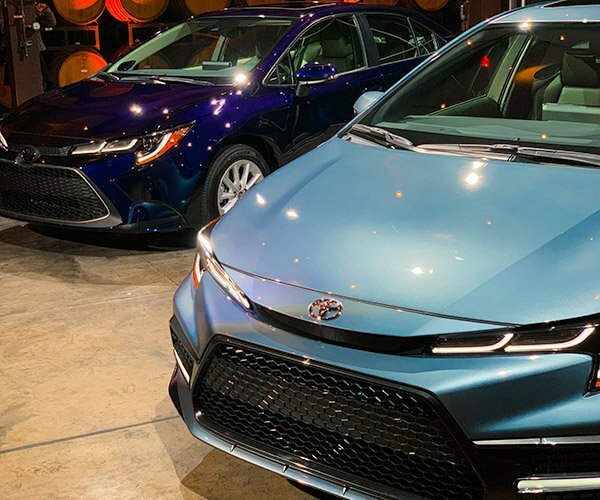 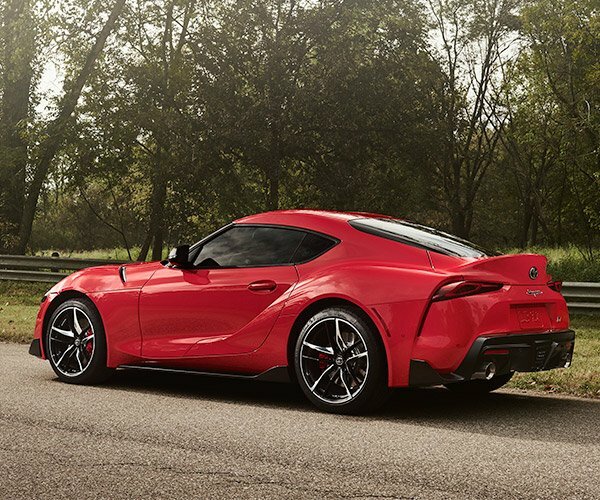 Inside, Toyota has tricked out the cabin with red stitching and red accents, and the comfy, quilted SofTex seats have TRD stitched logos on their headrests. 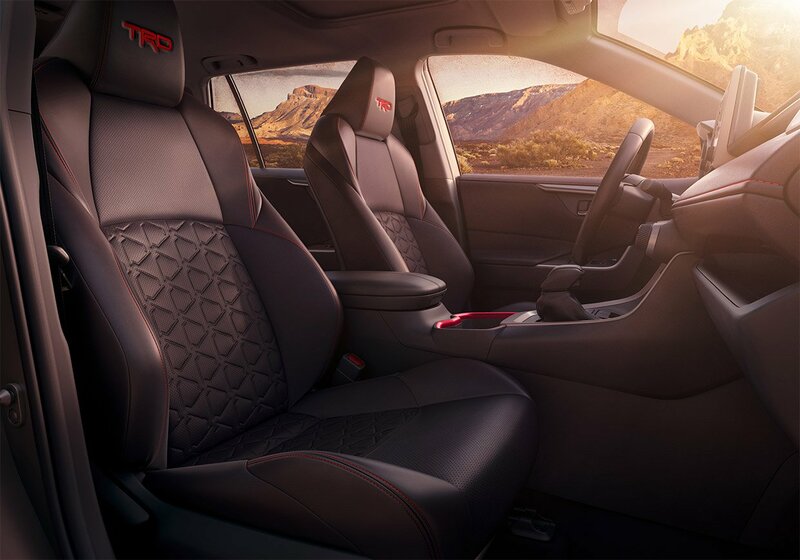 There are also TRD all-weather floor mats which should make cleanup easier after a day in the mud and dirt. At this point, it appears that the RAV4 TRD Off-Road will only come with a 203 hp gas engine with the 8-speed automatic, and not in the more powerful hybrid version like other RAV4 models. 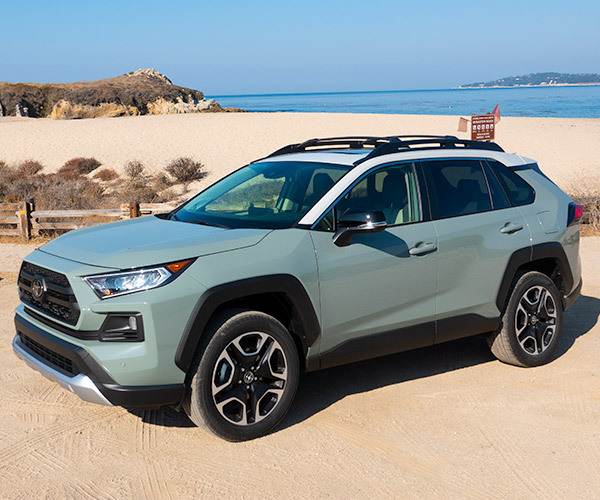 Presumably, that’s because the gas version gets the more capable all-wheel drive system with dynamic torque vectoring and a multi-terrain select system.